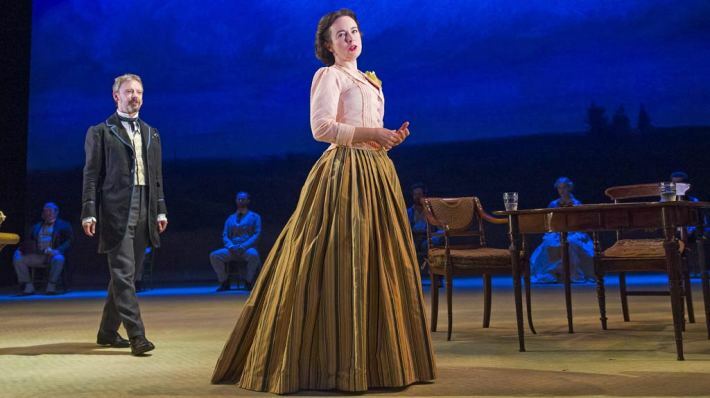 I was lucky enough to be invited to attend the understudy run of Turgenev’s Three Days in the Country at the National Theatre. Originally called A Month in the Country the play used to have a running time of about four hours and risked losing the audience’s attention half way through. After being renamed and cut to about half its original length Turgenev’s play is now a diverting journey into the 19th century Russian countryside. The story revolves around Natalya and her ward Vera who both fall in love with the handsome new tutor. Add Natalya’s husband Arkady, her watchful unrequited lover Rakitin, Vera’s old and always terrified suitor Bolshintsov and Katya who is head over heels in love the the tutor too even though she is engaged to be married and you have more than just a simple love triangle. It’s a slightly chaotic but always gripping and entertaining comedy. 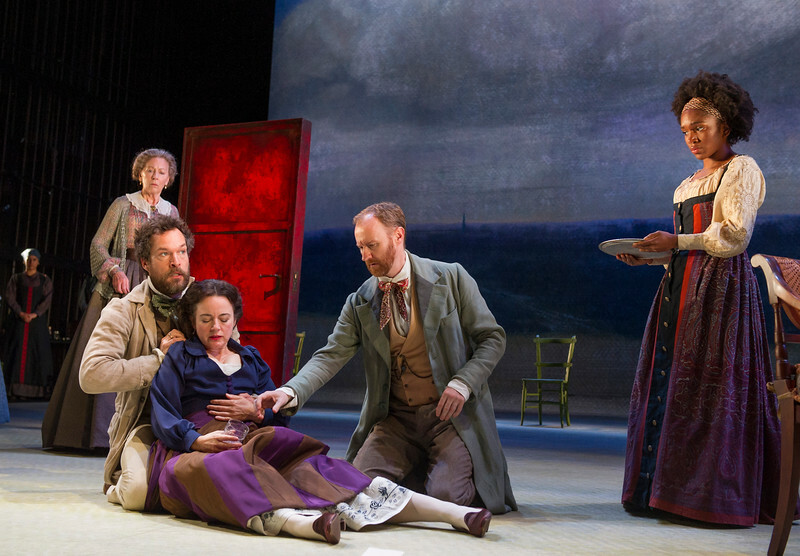 Lynn Farleigh as Anna, John Light as Arkady, Amanda Drew as Natalya, Mark Gatiss as Shpigelsky, Cherrelle Skeete as Katya. At this performance the role of Belyaev, the slightly self-possessed tutor, was played by Mateo Oxley. Even though it is not the most prominent and wordy part in the play Mateo managed to stand out whenever he was on stage. He brought witt and a boyish charm to the role that made it easy to understand why women of all ages would fall for the young tutor. Paige Carter was a wonderfully feisty Vera who made the transition from teenager to wife to be in just three days look believable. A special mention has to go to Mark Extance who took on the part of the bitter and completely unromantic country doctor Shpigelsky usually played by Mark Gatiss. His marriage proposal to the governess alone was pure comedy gold. One more special menton for John Light who joined in as Arkady in act two and made me consider watching the play again with the complete first cast just so I could see his full take on Natalya’s stocky husband. The set of this production is minimalistic yet effective. There is a huge Russian painting as backdrop, a few walls and doors and some furniture. The sides of the stage are left bare leaving a clear view of the ropes of the fly tower. It’s a refreshingly bare setting for a play full of characters who love to self-dramatise. Watching this understudy run once again made me realise what a huge amount of talent can be found on London’s stages. You would never have guessed some of the people on stage were playing their parts for the very first time. I was especially impressed by Mateo Oxley. 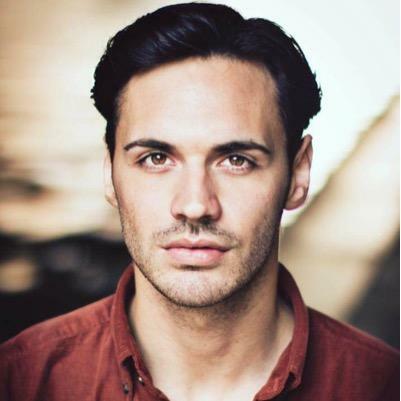 I have followed his career ever since I saw him in The Drowned Man and it’s wondeful to see how he has developed. Keep an eye out for this talented young man. I predict we will see more of him in the years to come. Follow Mateo Oxley on Twitter @Mateo_Oxley or find him on Facebook.